Description : UPH Press and The Johannes Oentoro Library collaborated together to launch a translated Bahasa Indonesia version of "Letters to Lisa or Surat-surat untuk Lisa". Surat-surat untuk Lisa is a compilation of letters sent by Lisa's father, Dr. John Van Dyk to help Lisa on Christian teaching. This book covers conversation that intended to stimulate Christian teachers to reflect on their practice as teachers. Its purpose to help teachers see that everyday classroom practice is determined by our fundamental beliefs about education and about the Christian life, and to suggest ways of teaching in biblical way. 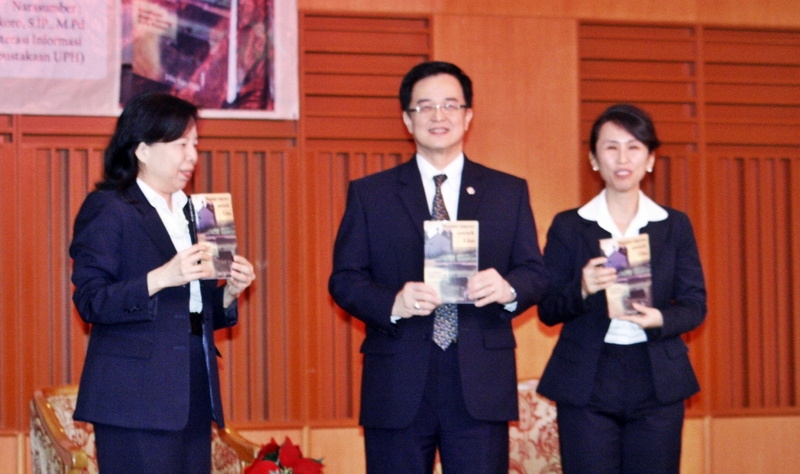 Translated by Connie Rasilim, S.S., B.Ed., M.Pd., the co-founder of UPH Teachers College, hopes that the book will act as the handbook for Teachers College students, and continue to inspire people who are interested in Christian education. Description : As collaboration between The Johannes Oentoro Library and Teacher College, we conduct the Library Management internal workshop for TC students. 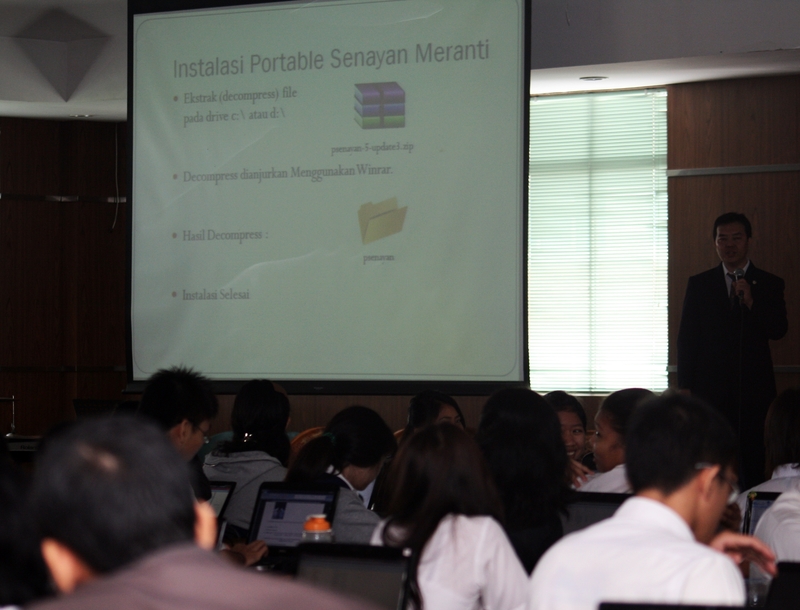 This is a first time workshop of library management, which was delivered for TC students. For about three days, the library team consist of 6 speakers and 3 additional supports engage a deep training on the wide range school library issues, such as: school library accreditation preparation and standards, installation of SLiMS, the use of SLiMS on books processing and acquisition, circulation module, user management module, Information Literacy, and also library promotion. 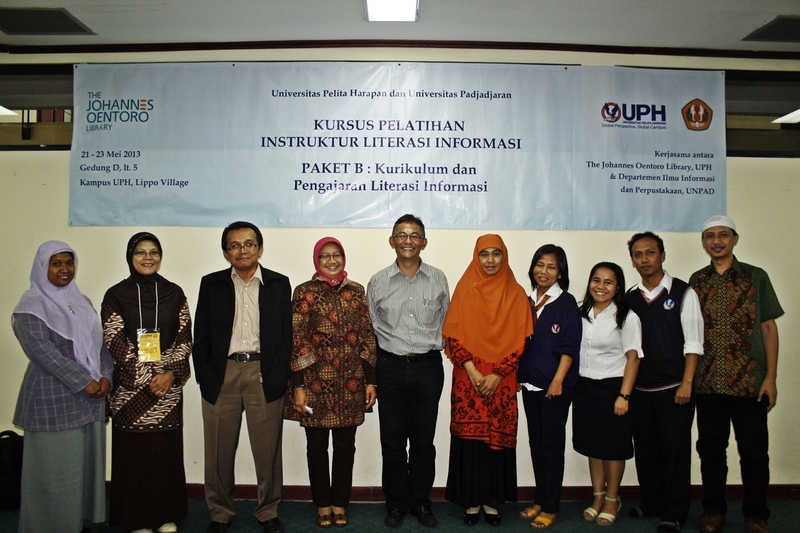 Description : The Johannes Oentoro Library has organized "Information Literacy Instructor Training Course Package B" courses with the cooperation of Departemen Ilmu Informasi dan Perpustakaan, Universitas Padjadjaran. Speakers at the "Paket B" this time including Dhama Gustiar, Clara Evi C., Tikno Iensuffie from UPH, and Sukaesih, Agus R. and Yunus W. from UNPAD. Speakers provide material about the concept of TNA, TNA models, TIU,TIK and ,etc.. All materials provided to support participants in applying teaching Information Literacy. And at the last session, the participants do "micro teaching", ie as if the participants were in the classroom to teach the information literacy in students, this is done to determine to what extent, participants can receive material that has been presented. Description : The LIBANEV is the Library's annual event which help promote the World Book day initiated by the UNESCO. This year LIBANEV theme is "Library and Originality". 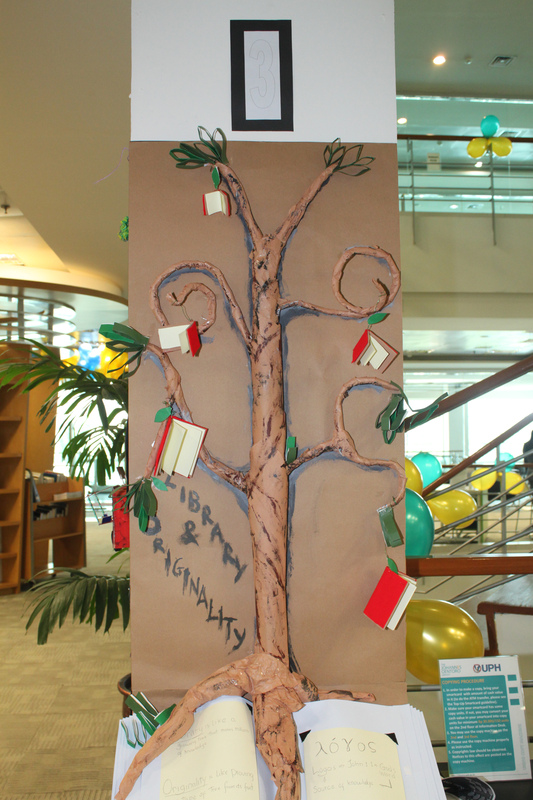 With this theme the Library wanted to promote the awareness of academic integrity which is not only important for learning or teaching but is also essential in someone's daily life. The library users, students and staff were rewarded with souvenirs and prizes if they managed to accomplish the games and quizzes. Seminar and workshop of "Membangun Perpustakaan Gereja yang Modern Berbasis Otomasi" was conducted on Saturday, April 20. This seminar was presented by the Library team. There were two exhibitions on April 15 - 19 at the Johannes Oentoro Library: "Pameran Hasil Karya Orisinal Siswa/Mahasiswa" and "Pameran Batik Banten, by Pak Uke Kurniawan".